Rhino Hide is home to the most effective, non-toxic mold removal and prevention products. The Rhino Hide® brand began with a simple goal: to make products people can trust and… deliver on our promises. For over 60 years Rhino Hide® has been the trusted brand for homeowners and professionals alike who are looking for long-term solutions to tough problems. At HomeWood Solutions, LLC, people come first, no exceptions! That’s why continuous research and education are central to our company’s values. We strive to ensure, without a doubt, that we are providing you with the most effective, non-toxic mold prevention products without compromising performance, your safety or the environment. Our motto, LIVE MOLD FREE® is our promise to you that we are dedicated to the prevention of mold, not simply cleaning it. Cleaning and removing mold doesn't have to be rocket science. UltraMean2 provides the deepest clean without the harsh chemicals. Any professional will tell you- control the moisture, control the mold. 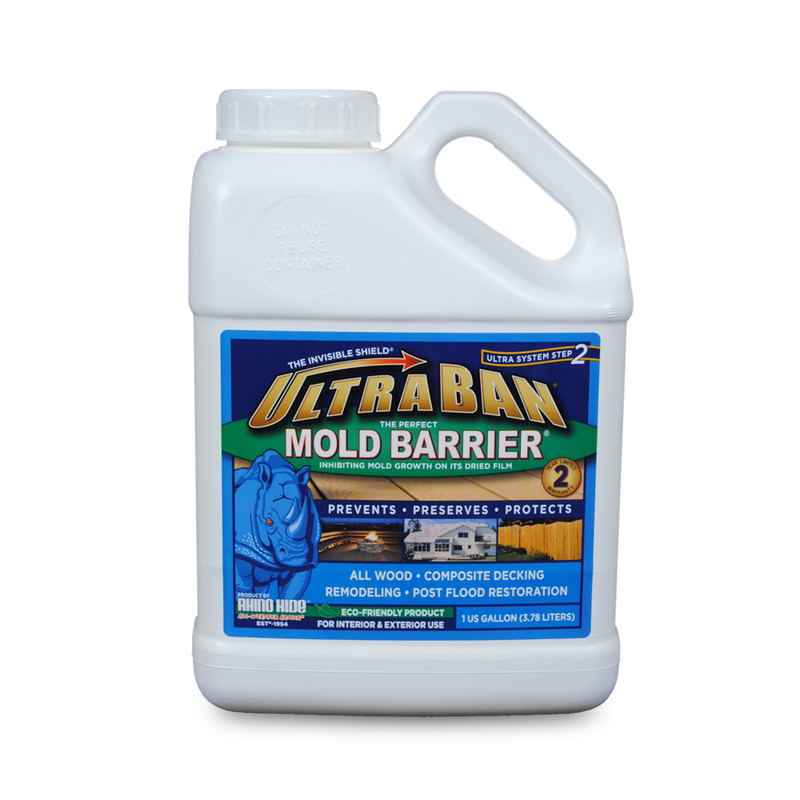 UltraBan is the most advanced mold barrier that actually keeps the mold from coming back. Got tough stains? 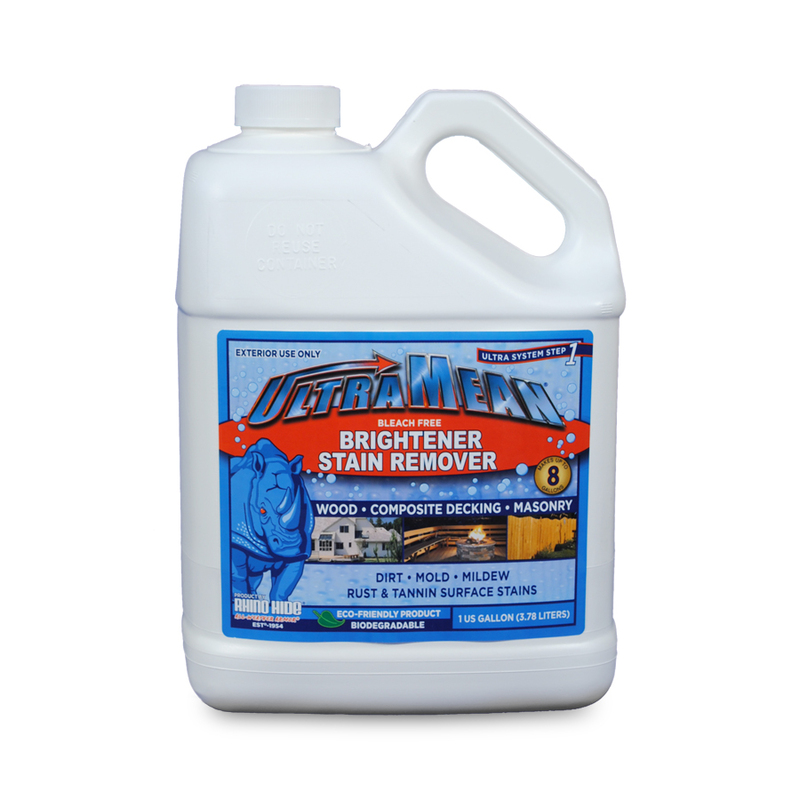 Bring dull surfaces back to life with UltraMean exterior stain remover. Even the toughest outdoor stains won't stand a chance.